The Indianapolis, Indiana area might not have their own professional baseball team, but the area is passionate about the sport. 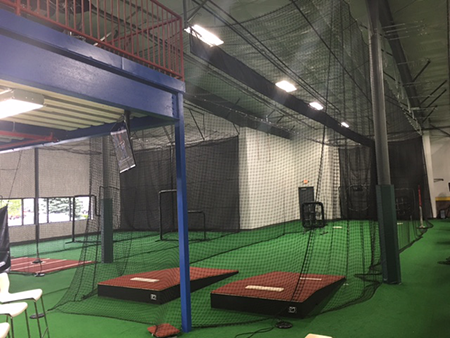 The players in the area needed an indoor baseball facility to allow them to train in the winter months, and Fishers Sports Academy was able to fill that void. 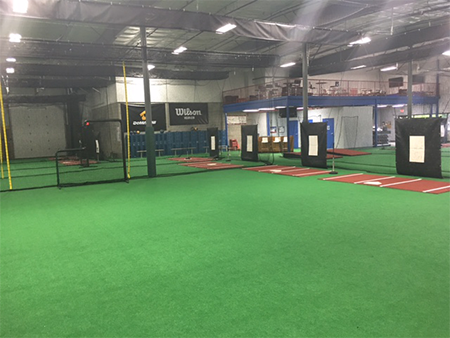 The 14,000 square foot baseball and softball facility worked with Keith Burke at On Deck Sports to open in December of 2015. Burke and the ownership group at Fishers Sports Academy worked to take a hand-drawn design and create a professional training academy. We had to make sure that a baseball facility at the caliber of Fishers Sports Academy had the best equipment possible. 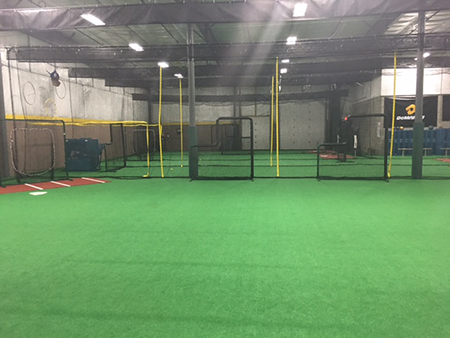 We went with PM34 turf inside of their custom shell net batting cages with retractable nets. 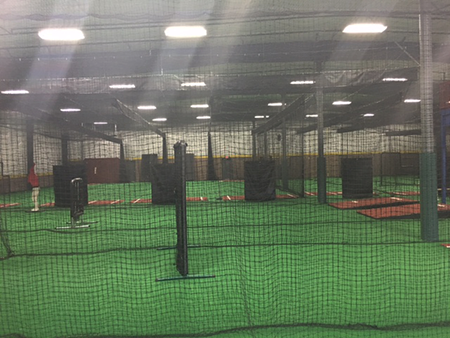 Next, we outfit the facility with Batting Mat Pro’s and ProMounds PVTee’s for hitting practice long with ProMounds ProModel portable pitching mound, The Designated Hitter and vinyl backdrops for pitching practice. For their custom batting lanes we made sure to equip them with the Premium Series L-screen as well as pitching machines. The facility had a unique layout, leading to some creative design from Burke and the management staff at Fishers Sports Academy. This is where we differentiate ourselves from the competition. Our experts can figure out creative solutions to maximize your space – like we did at Fishers Sports Academy. There are times that shorter cages are required to fit a space, and we know how to identify those spaces and suggest the best design for it. Burke was able to create shorter batting cages in a separate section of the facility and suggest a tee work or soft toss area. For this reason, Burke designed 38-foot cages that cannot be used for “live” batting practice or pitching practice, but are ideal for one-on-one tee work or soft toss work. This helps players and coaches have more productive, efficient training sessions away from the main cages and action. I am currently doing a project for my class on designing an indoor sports facility. I was just curious on how much the Fisher Academy in total cost? I would really appreciate the help! By the way all these facilities look great ! If you reached out to one of our facility experts they would likely be able to help you out. Email a request in to info@ondecksports.com and someone will get back to you. Thank you!